It’s no secret that Sony embraces many types of entertainment and not just video games so, to capitalize on that, they are introducing the new Sony Entertainment Network. Fear not PlayStation Network users, the PSN isn’t going anywhere, but Sony is introducing a new platform called the Sony Entertainment Network (SEN). The SEN was announced today by Kaz Hirai, President of Sony Computer Entertainment, at the IFA Tradeshow in Berlin, Germany. The SEN will use your already established PSN account if you have one, and will encompass all of Sony’s current digital entertainment options, such as Qriocity and Video on Demand. As a result Video on Demand will now be known as Video Unlimited, and “Music Unlimited powered by Qriocity will become Music Unlimited,” according to the press release. That’s right, these changes are huge, including this brand new logo! Besides minor name adjustments, the real changes are in what this means for countries that previously did not have access to these services. Not only will Sony be able to add more content to each respective service, but they also plan on being able to provide Music Unlimited access to Norway, Sweden, Finland, Denmark, The Netherlands and Belgium by the end of 2011. 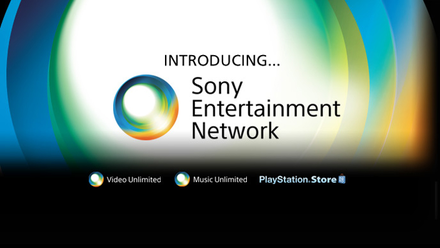 More information on the new platform can be found at sonyentertainmentnetwork.com, where the official launch site now resides, and users can sign up for a new account if they wish.